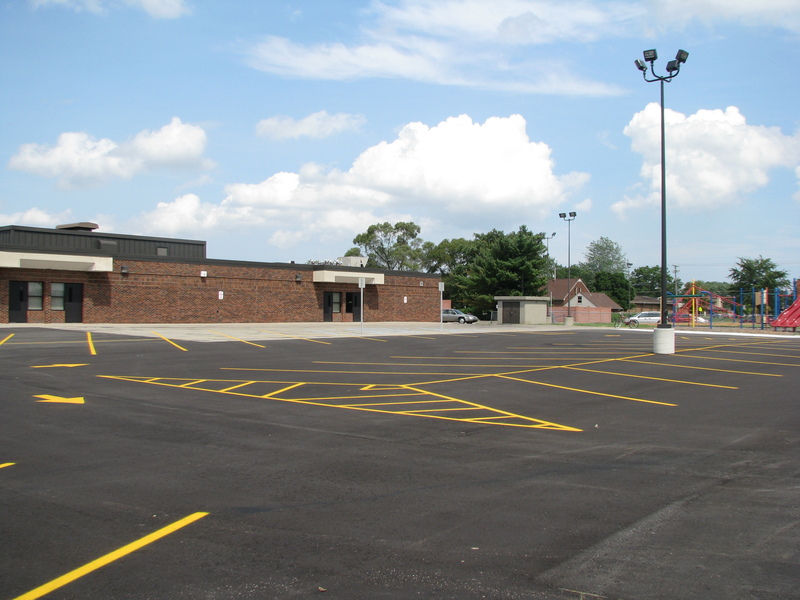 AEW designed and provided full Construction Administration services for the Walsh Elementary School Parking Lot Expansion project that was completed in the summer of 2015. The building serves several of Utica Community Schools programs, including Community Education, Early Childhood, and School Age Child Care, along with the district’s English as a Second Language program. The parking lot addition was necessary to support the many services offered at the location. AEW provided site and lighting design, comprehensive civil engineering services, and full Construction Administration support for the 60-space parking lot. The project was completed both under budget and prior to the beginning of the new school year. A special feature of the design allows storm water runoff to traverse through swales before entering the underground storm system. Open drainage systems, such as swales, are encouraged from an environmental standpoint, as they reduce the quantity of runoff, and the amount of pollutants in the storm water.